AKE offers a variety of arbor-mounted tools for any applications involving cutting wood and wood-based materials, ensuring the best possible results for tradespeople and industrial applications. Our tool solutions in the area of milling tools are also among the leading products in the field. From traditional rebate tooling through to multi profile tooling for the most exacting applications the AKE range of tooling has you covered. Diamond Tipped (PCD) tooling including the jointing cutters able to brilliantly machine material from solid timber through to wood-based materials (eg MDF, OSB, particle board) and even exotic materials such as compact laminates. Tooling used on automated planning lines, edge banding machines and continuous production lines require quality and precision whether formatting, rebating or profiling. Materials being processed vary from wood materials through to challenging special materials. With these parameters in mind the new generation of tooling strictly follows the Cutting 2.0 principle. 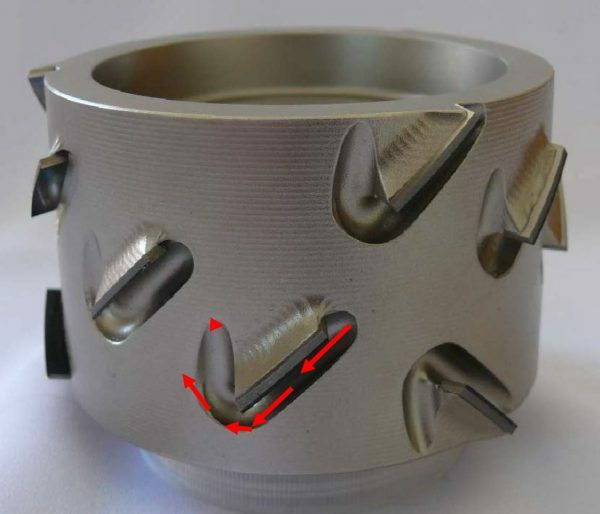 This principle places particular emphasis on chip discharge by preventing repeated chip cutting and using cutting edges with deep axis angles, providing exceptional tool life and remarkable surface quality. To read more about this technology please read our article below.